How to Avoid Oral Issues? If you have issues with your oral health, then you must be living a very uncomfortable life. Good oral hygiene contributes at one point or another to protect more than just your teeth. In most cases, oral issues may bring about self-esteem issues, difficulties performing in school, failure to participate in academic discussions, speech problems and swallowing problems in some extreme cases. In this article, I will try to explain some of the universal and best ways of maintaining your dental health. I will also mention, how you can avoid oral issues. If you stick to these 5 ways strictly you will enjoy a healthy and happier oral life. You will not only enjoy your oral health, but your overall health will also improve. This is one of the most common ways of dealing with bad breath. In some common cases, bad breath also called halitosis can be frustrating and embarrassing. Brush your tongue and teeth every morning and evening before going to sleep. There is no limited number of times that you are supposed to brush or wash your mouth. What this means is that you can clean your teeth even after every meal if you had enough time. However, if you are worked out and do not have enough time, ensure that at least you wash your mouth twice a day. There are many mouth washes available on the market. You can pick a suitable one according to your needs. Mouth wash not only strengthen the gums, but also helps in minimizing or completely removing the bad breath. You can also consult your dentist regarding Toothpaste, Toothbrush and Mouthwash. Using excellent quality products ensure the healthy teeth. Tooth decay or calculus bridge is a very common problem among people. This problem occurs mostly when the food materials get stuck between the teeth gaps. If the food we eat combine with plaque on your teeth, then you are likely to develop some oral issues such as tooth decay. Sugary foods such as biscuits and candy give room for bacteria to thrive and cause tooth decay. Avoid eating them too much and ensure that you eat healthy. Yellow teeth in most cases is not a health problem. However, if your teeth are yellow this leads to an unattractive smile that may make you uncomfortable and lower your self-esteem. Avoid smoking since it is one of the leading causes of yellow teeth. Also, reduce the consumption of hard water, tea and coffee. Once a day is enough and after drinking tee or coffee, brush your teeth. Teeth grinding is usually caused by stressor misaligned teeth. However, you can implement regular relaxation mechanisms such as regular exercise, getting involved in some activities to keep you busy and avoiding stress. In addition, you can visit the dentist to find out if you are in need of the Orthodontic or restorative dentistry to align your teeth. In some instances, you may try all the existing methods including the ones discussed here and the results are insignificant. The best thing to do after all this is to book an appointment with a dentist for a thorough oral checkup. Here, you will get a solution to all your oral problems. It is advisable not only go to the dentist when you have a problem, but also go to them regularly for a routine checkup. Some experts say, visiting dentist every 3 months is a healthy habit. I am not saying that you follow this routine strictly but go to the dentist minimum once in 6 months. In short, our teeth are our beautiful and precious asset and without them we cannot enjoy the life. We must take care of them not only for a beautiful look, but also for a healthy life. If we have strong and healthy teeth we can eat whatever we want. If you liked the article, then don’t forget to share it with your friends. 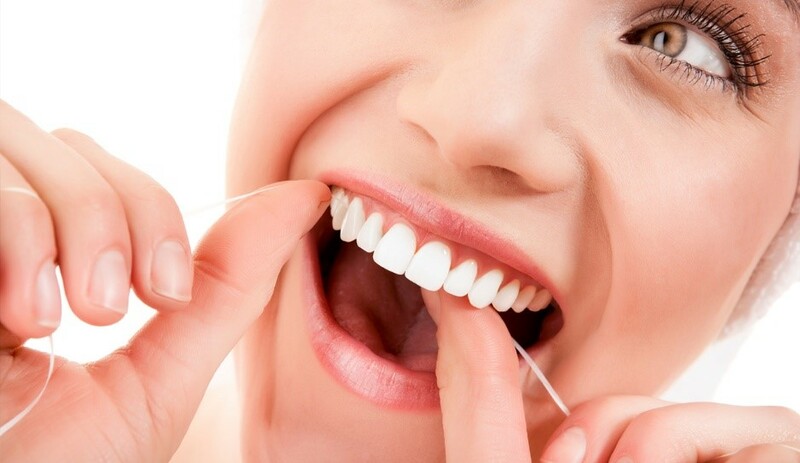 Filed Under: Health & Fitness Tagged With: How to Avoid Oral Issues?